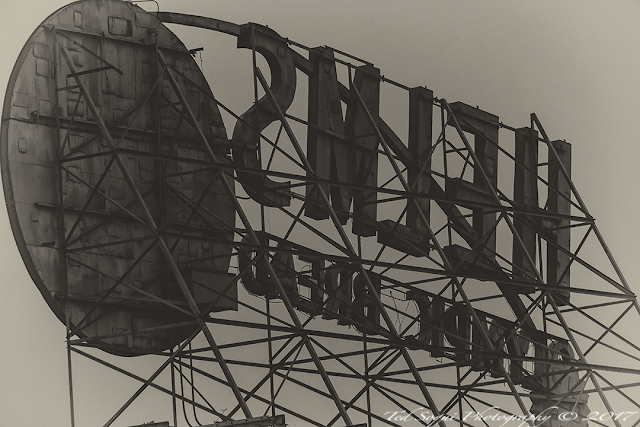 The famous Helms Bakery sign on Venice Blvd in Los Angeles. The Helms Bakery is now defunct and the building serves as a group of home furnishing stores and outlets. The Helmsman statue was also moved to Marina Del Rey's Burton Chase Park. The Helmsman also became the part of the logo for the local beach cities paper, The Argonaut. The logo was removed from the paper a couple years back, but is still used for their online edition.